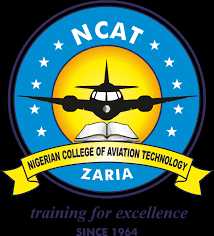 Nigerian College of Aviation Technology, Zaria [NCAT, Zaria] National Diploma, [ND] Higher National Diploma [HND] and Post Graduate Diploma (PGD) Full Time and Part-Time Programmes Admission Form, Requirements, Application Guidelines for 2018/2019 Academic Session. The Nigerian College of Aviation Technology, Zaria invites applications from suitably qualified candidates for Direct Admission into the National Diploma, Higher National Diploma and Post Graduate Diploma (PGD) Programmes for the 2018/2019 Academic Session. IMPORTANT INFO: All candidates that have chosen Nigerian College of Aviation Technology Zaria as their first choice should upload their O'Level results on JAMB website (CAPS). A minimum of WASC/GCE/NECO/SSCE NTC “O” Level with at least five Credits which must include Physics, Chemistry, Mathematics and English Language. Minimum JAMB scores for polytechnics. For candidates who have met the minimum JAMB score of 180 but did not select NCAT as their choice are eligible to apply. Candidates must posses National Diploma with a minimum of Lower Credit Pass (CGPA of 2.50 and above) in Mechanical Engineering Technology, Electrical /Electronic Engineering Technology, Aircraft Engineering Technology and a minimum of one year Post ND industrial training. Candidates must have BSc or HND in Electrical/Electronic, or NCAT Diploma and Professional Licence or its equivalent. NCAT Diploma and Professional Licences or its equivalent with a minimum working experience of two years. Visit NCAT website at http://www.ncat.gov.ng/portal/applicant/index for online Admission Application forms. Application forms costs Ten Thousand Naira Only [N10,000]. NCAT Liaison Office, Federal; Secretariat, Abuja. Six weeks from the date of this publication All completed forms should b submitted at the point of collection on or before the closing date.